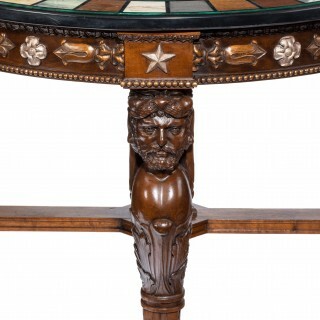 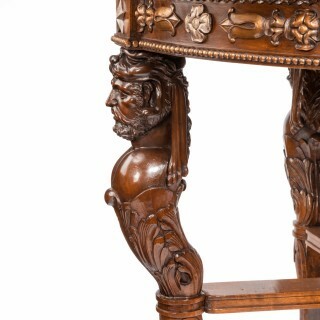 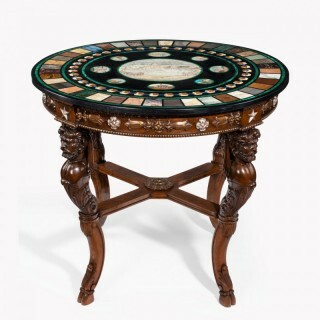 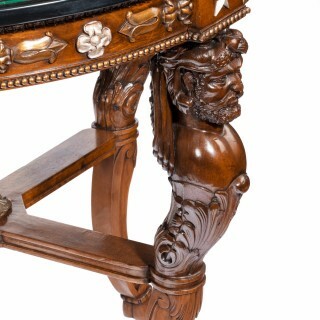 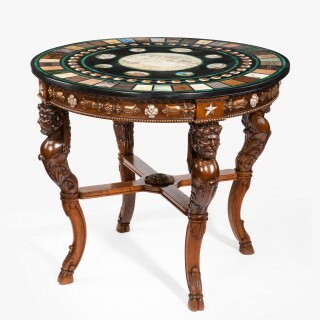 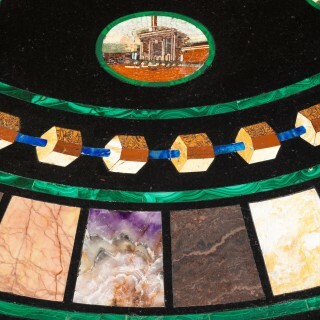 A 19th century Italian micro mosaic & specimen marble top centre table. 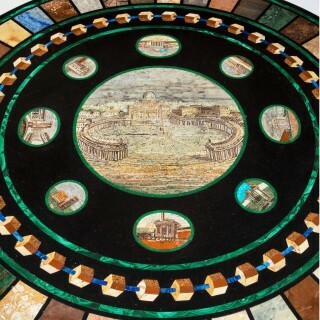 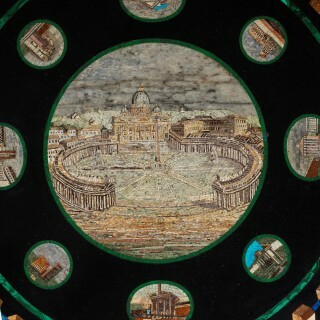 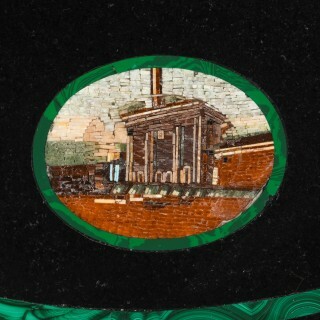 The circular black marble top having a central inlaid miro mosaic roundel depicting St Peter’s, surrounded by eight circular and oval Roman ruins vignettes with hexagonal bead malachite banding and with specimen marble and hard stone borders. 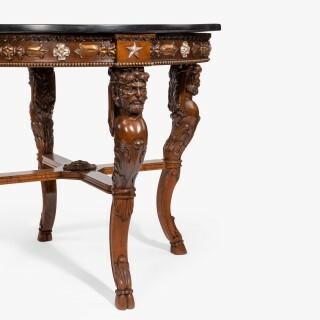 The superb walnut and parcel gilt base having a frieze with carved alternating stars, rosettes and cartouches, raised on male term monopodia terminating in leaf capped feet all joined an ex shaped stretcher with central rosette.